13" overall. 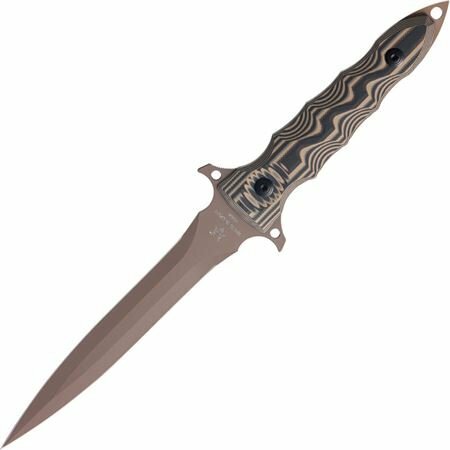 7" N690Co stainless double edge dagger blade with coyote tan finish. Full, extended tang with integrated guard, pointed pommel, and lanyard hole. Grooved black and coyote tan G-10 handles. Black leather M.O.L.L.E. compatible belt sheath with black cord lanyard. If you have any questions about this product by Fox, contact us by completing and submitting the form below. If you are looking for a specif part number, please include it with your message. © 2019 - mzitalia.com. All Rights Reserved.